Four Buildings in Van Nuys. 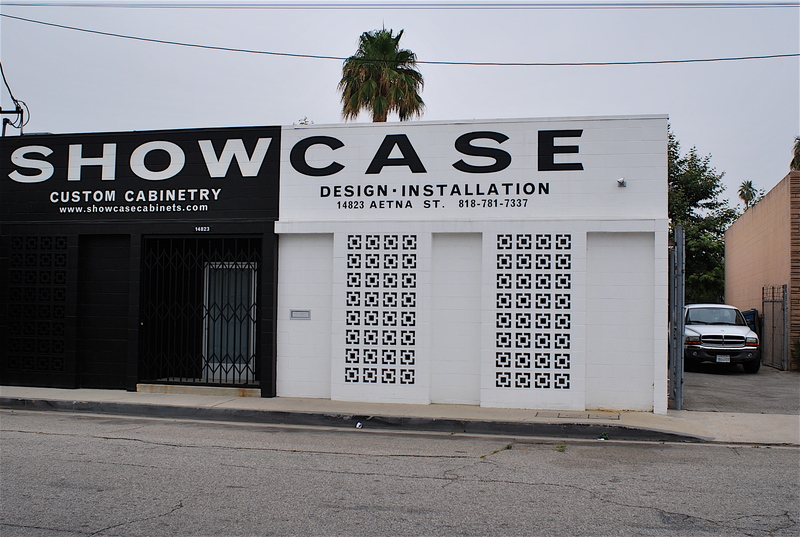 One can find almost any type of architecture in old Van Nuys. 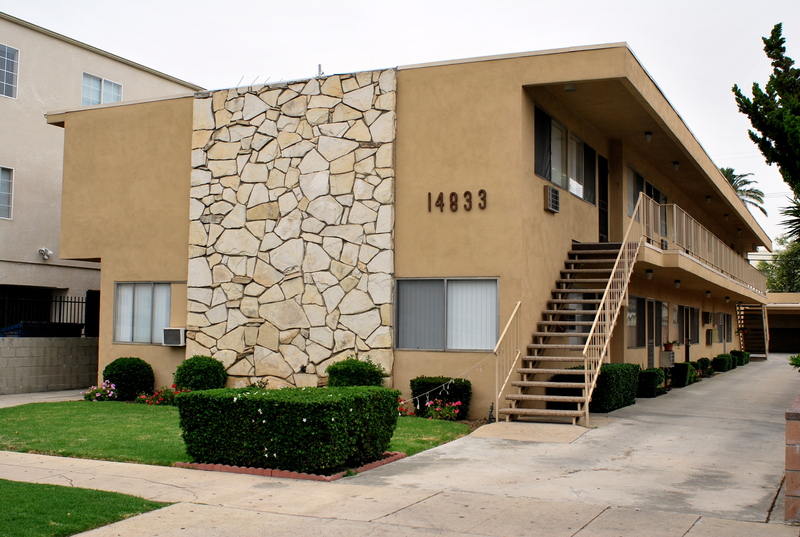 14833 Sylvan is a two-story apartment, built in 1963, when casual and open was the style. The modernist slathering of stone on the facade gives the building a pleasing freshness and frankness. It still seems neat and clean and well-maintained though I have not seen the interiors. 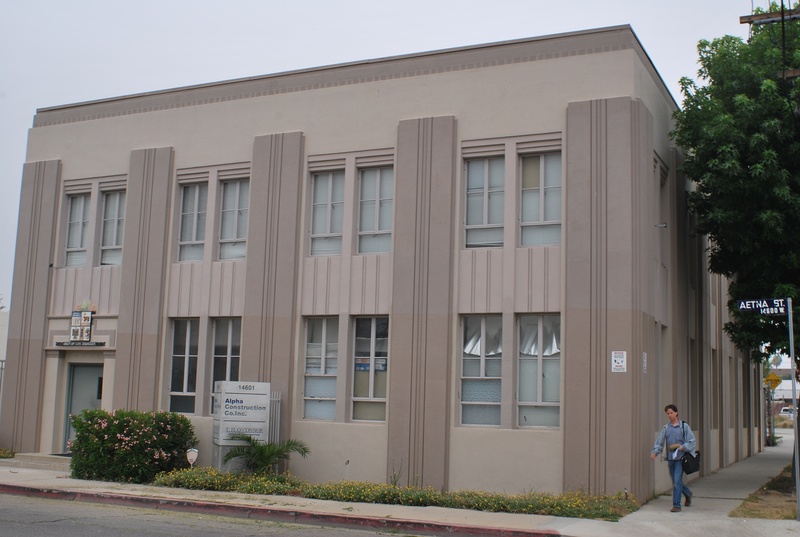 14601 Aetna (circa 1930) was a DWP building, sold in 1999 for private use. 14833 Aetna is a place (in my imagination) that might one day be converted to a beer and hamburger restaurant (a la Father’s Office). 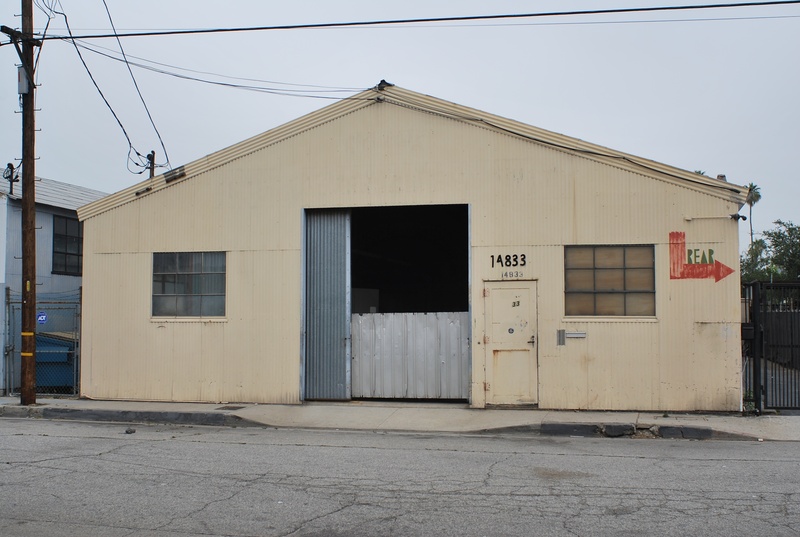 14823 Aetna is a crisp, cinder-block industrial/commercial building from the early 1960s. With it’s bold colors and modernist style, it would be a great location for Jonathan Adler or Trina Turk to open a store. People will probably laugh at the idea that anyone would shop or eat near the Busway. Who in their right mind would think that a high-fashion retailer or high-end restaurant would open in Van Nuys? But they would stop laughing if, say, Brad Pitt opened a steakhouse off of Kester. ← It Can be Yours for $4.5 Million.